Recently, Online MBA Report spoke with Katrina Kidd, Director of Graduate Programs in the College of Business Administration at California State University, Stanislaus. 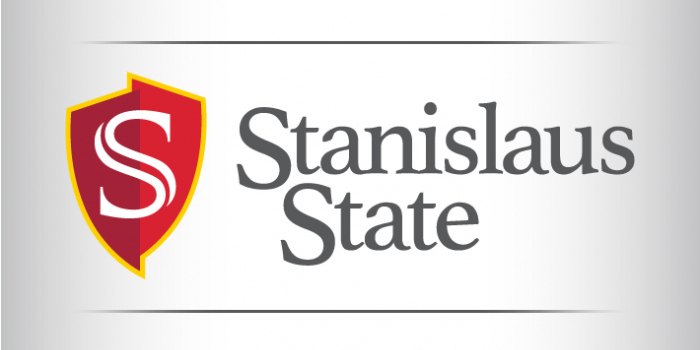 Also known as “Stan State”, Stanislaus State is a part of California public university system and is located in Turlock, California. I understand that Stan State was the first program within UC and CSU systems to be AACSB-certified. Given the large playing field of the California higher education system, that’s quite an accomplishment. What was the driving goal of this accomplishment? Stan State College of Business Administration recognized that an online format was key for busy working professionals to earn their MBA. As the first AACSB accredited program, our goal was to ensure that we developed a rigorous process, assurance of learning, and provide faculty with the ability to transfer pedagogy from a live classroom to an online environment. While simultaneously pursuing accreditation, we also required faculty to become certified to teach online (we primarily utilize OLC- Online Learning Consortium, formerly known as Sloan Consortium, developed by MIT). The online certification provides faculty the ability to teach online while addressing adult learning principles, to effectively communicate with students in all learning formats. Prospective Online MBA students have to balance many responsibilities at work, in their personal life, and in their pursuit of education. What is the value of asynchronous learning for students? An asynchronous learning environment allows students to complete coursework anytime, anywhere! There is no requirement to log on any particular day or time; students complete weekly assignments when it's convenient for their schedule. Students that travel, have variable work hours, and family or personal commitments can complete the program in two years or up to six years, depending on their goals. Stan State’s Elluminate! Live virtual classroom sessions are a claim to fame. How does Elluminate help build the community between students and faculty? The Elluminate virtual classrooms are a tool that engage students and faculty in a live format. Similar to other live web tools, it enables the instructor to provide demonstrations and answer questions. As mentioned above, our asynchronous format enables students to log in anytime anywhere for convenience and an optimal learning time. In addition, other web tools are utilized to effectively communicate. We do utilize the Elluminate virtual classrooms for other programs and they are very effective in connecting students and faculty in a live environment. One of Stan State’s MBA program philosophies is that students learn to lead in a virtual setting in a classroom setting, then helps students learn in a virtual work world, too. How does this philosophy play out in a student’s journey? Academically, our OLC trained faculty address adult learning principals through providing different mediums to teach learning objectives, including recorded lectures, Power Points with detailed notes, discussion boards, live office hours, team assignments, and student presentations, utilizing web tools. This approach treats the online classroom as if it's a live classroom, engaging students through the use of web tools to simulate a live classroom environment. Students have the ability to watch video lectures multiple times, read notes from discussion boards and other modalities to reinforce their learning experience. Professors are available for questions and provide assistance in a 'live' format utilizing web tools such as Blackboard Collaborate or Zoom meeting software. The online environment emulates a live classroom. Many organizations have virtual meetings and operate in a global environment. Students that complete their Online MBA learn that you can effectively communicate and lead virtually in an effective manner by utilizing web tools, and through live presentations (Zoom meetings and other tools). The classroom experience translates to a virtual work world, where students will utilize web tools in an asynchronous and live format to communicate, meet and engage with other professionals. Our typical student works full time, has a busy professional and personal schedule, and enjoys learning online. Students are primarily from the Central Valley, however we do have some from northern and southern California. In the past we've had international students as well. We welcome students from California and internationally, as the asynchronous format enables students to learn anytime, anywhere! Students are not required to spend any time on campus. Students do have the option of attending the graduation ceremony that takes place on campus once they've completed their program, though not required. We do have some online services available to students via workshops and other services. We also invite and encourage students to attend campus career fairs and graduate fairs, to connect with employers and network with other professionals! Students interact with faculty through discussion boards, email, phone calls and virtual meetings utilizing Blackboard Collaborate, Zoom meetings and other web tools. Students that live locally are welcomed to meet with faculty on campus during their office hours, or virtually during office hours as well! Our program is structured by faculty that are OLC certified. The certification teaches faculty how to simulate a live classroom environment utilizing web tools. Students have provided feedback that they feel like they're in a live classroom! They have also commented that faculty are readily available, and they enjoy the interaction with other students. Our university utilizes a website called Hire Stan State, whereby all students can post resumes and peruse job openings of local employers. As Director of Business Graduate Programs, I offer career services to online MBA students via webinar or office visits for students that live locally. All students are invited to attend campus career events, meet the firms night, and graduate fairs. To be successful, you are encouraged to attend orientation at the beginning of the program, to receive guidance for a successful journey. All students are encouraged to schedule time to attend classes online, by marking your calendar to allow for class time, study time and completing assignments. Students must be autonomous learners, and be self motivated, to ensure they are staying on track to complete assignments timely. In addition, students are encouraged to apply what they're learning as they go through their program, to make the experience more meaningful. Students are encouraged to network through campus events (if available), community events including Chamber of Commerce and other professional endeavors, to expand their career potential and position themselves for future positions and growth.